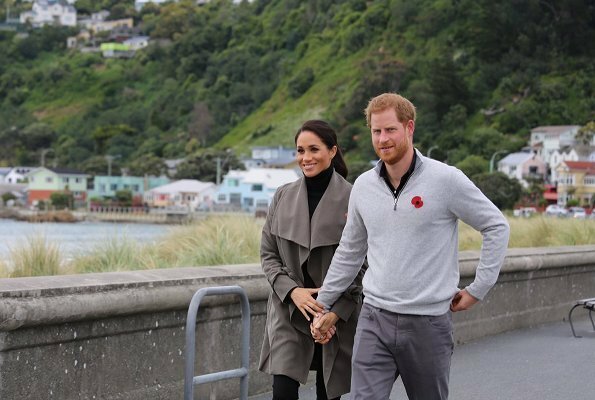 The final day of The Duke and Duchess’ tour took place in Rotorua which is a town set on Lake Rotorua and known for its geothermal activity and Maori culture. 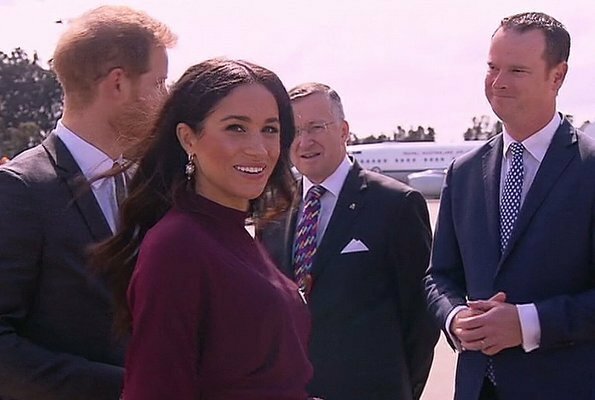 The Duke and Duchess of Sussex greeted with a traditional welcome, or powhiri, at Te Papaiouru. 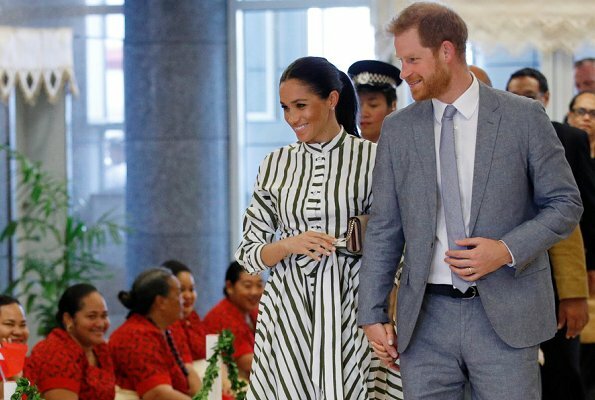 The Duke and Duchess of Sussex wore traditional Maori cloaks called Korowai during a visit to Te Papaiouru. 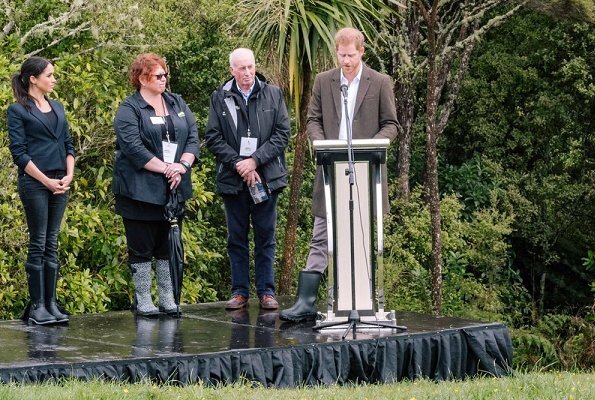 The Duke and Duchess firstly visited Te Papaiouru Marae for a formal pōwhiri and luncheon held in honour of The Duke and Duchess. On October 30, 2018, Crown Prince Haakon of Norway and Crown Princess Mette-Marit of Norway attended the Nordic Council's Award Ceremony 2018 held at Opera House in Oslo. 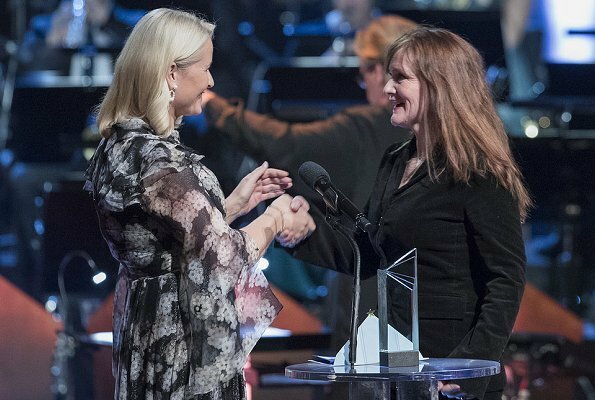 Crown Princess Mette Marit awarded the Nordic Council Literature Prize to Auour Ava Olafsdottir from Iceland. (Crown Princess Mette-Marit wore a printed gown by Ole Yde, which she had worn a few times in the past). On October 30, 2018, Spanish Queen Letizia attended the world conference called "improve air quality, fight climate change and save lives" held at the Headquarters of World Health Organization in Geneva city of Switzerland. The conference is held with the cooperation of World Meteorological Organization (WMO) and World Heath Organization (WHO), and will last for two days. 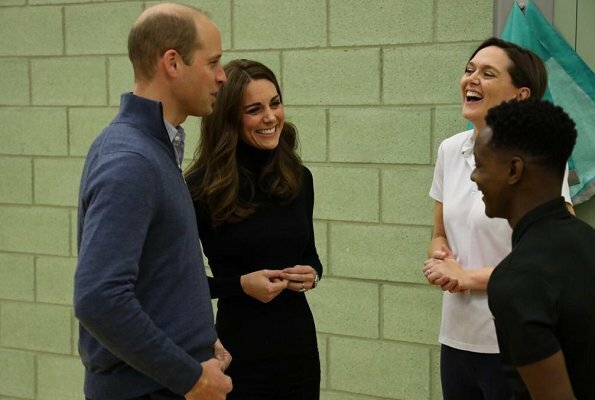 On October 30, 2018, The Duke and Duchess of Cambridge visited Coach Core at Basildon Sporting Village in Essex. Coach Core is a programme that aims to strengthen young people by using the power of sports. 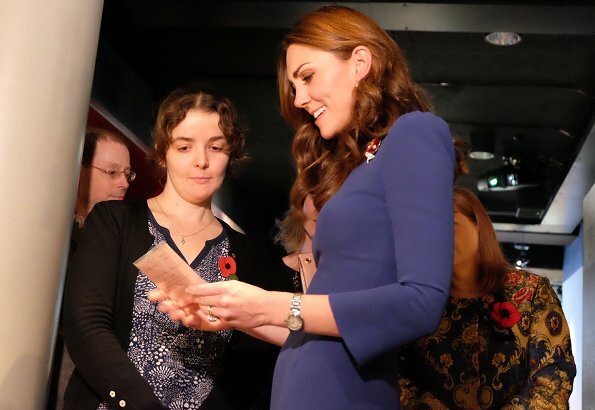 The Duke and Duchess of Cambridge are patrons of the Royal Foundation, together with the Duke and Duchess of Sussex. Coach Core provides the chance for young people between the ages of 16 and 24 who are not in education or employment to build a career in sport. During her visit to Basildon Sporting Village, the Duchess wore a 2 Button Blazer by Smythe. 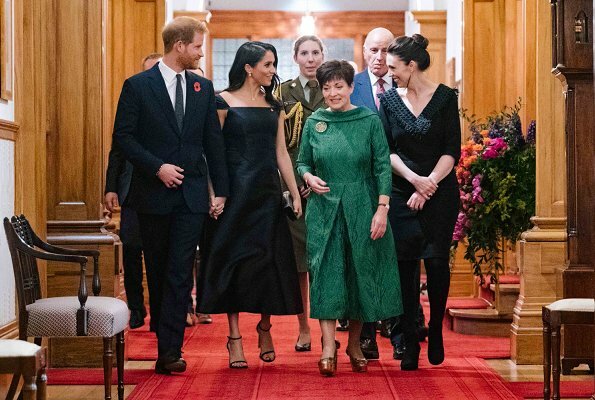 In the evening of October 30, 2018, The Duke and Duchess of Sussex attended a Reception hosted by Prime Minister Jacinda Ardern at the Auckland War Memorial Museum. This reception included cultural performances and entertainment by members of the Pasifika community living in Auckland. The guests were predominantly young people in the 17 to 25-year age group who are making significant contributions to the wellbeing of their communities, representing the future of New Zealand. 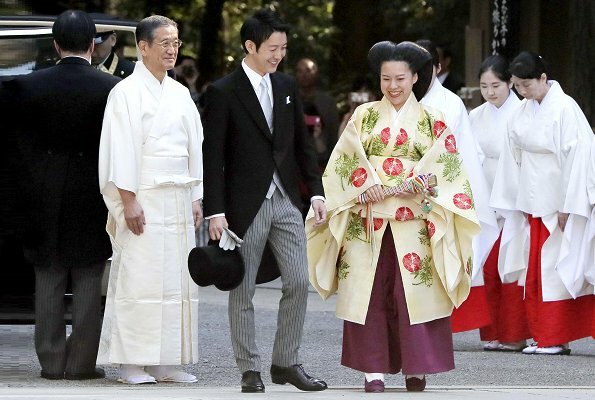 Princess Ayako of Japan got married to commoner Kei Moriya on Monday at a traditional ceremony at Meiji Jingu Shrine in Tokyo. 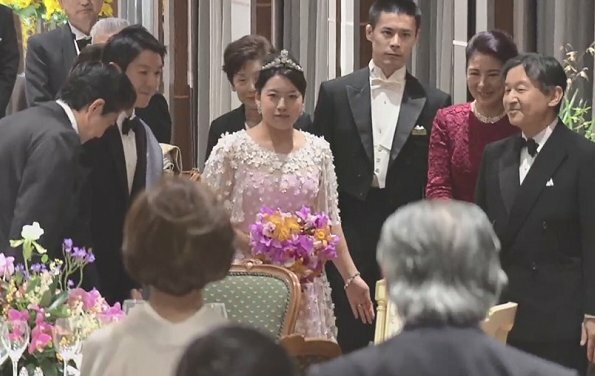 The private ceremony was held in front of the Japanese Imperial Family, including her older sister Princess Tsuguko. Her name now becomes Ayako Moriya after signing marriage papers today. According to Japan's imperial law, female members of the royal family forfeit their titles, status and allowance if they choose to marry someone who does not have royal or aristocratic family ties. 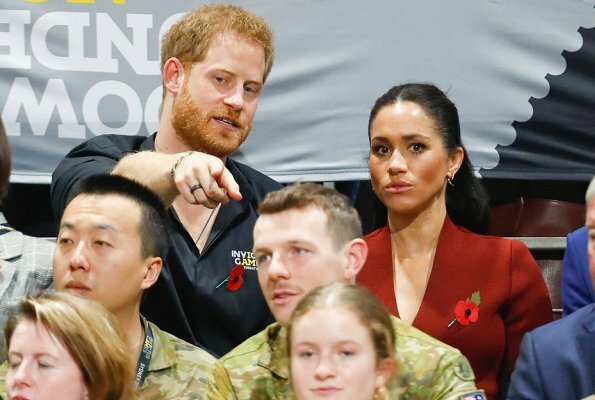 The same rule does not apply to male members of the royal family. As an ambassador of Unesco and Unicef, Grand Duchess Maria Teresa of Luxembourg is making a working visit to Lebanon between the dates of October 29 and 31. During that working visit, Grand Duchess Maria Teresa will receive information about the microfinance projects which aim to improve the living conditions of Syrian refugees. The Grand Duchess visited President of Lebanon, General Michel Aoun, at Baabda Palace in Beirut. Afterwards, Prime Minister Saad Hariri welcomed the Grand Duchess with a welcoming ceremony held at Grand Serail in Beirut. Afterwards, The Duchess visited the Rafik Hariri University Hospital (RHUH) in Beirut. The Duchess then visited a safe house where sexual violence victims live. 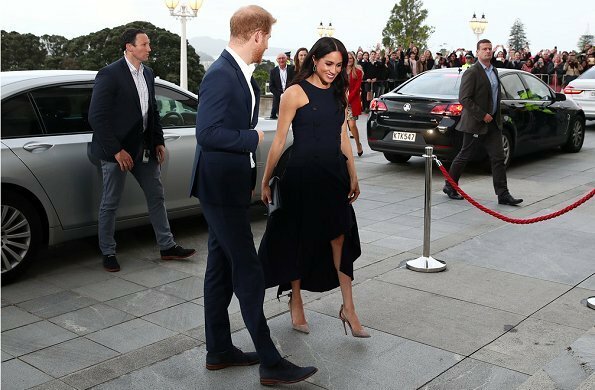 On the second day of their visit to New Zealand, in the evening of October 29, 2018, The Duke and Duchess of Sussex visited Courtenay Creative in Wellington for an event celebrating the city’s thriving creative arts scene. Courtney Creative runs programmes to give young people the tools and experience to excel in the film industry. 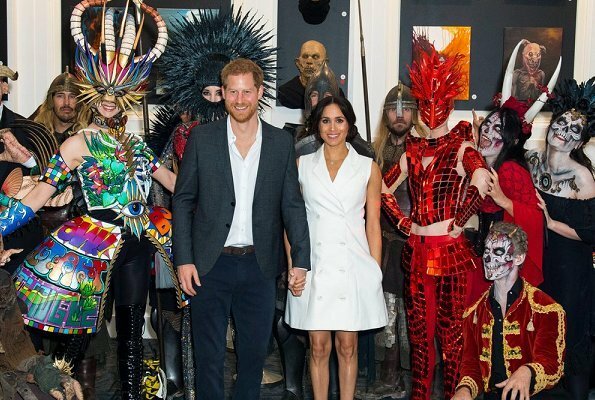 There, The Duke and Duchess met with a number of young creatives demonstrating their skills in props, make-up, and costume. (The Duchess wore a white blazer dress (sleeveless version) by Maggie Marilyn which is a New Zealand based fashion brand). 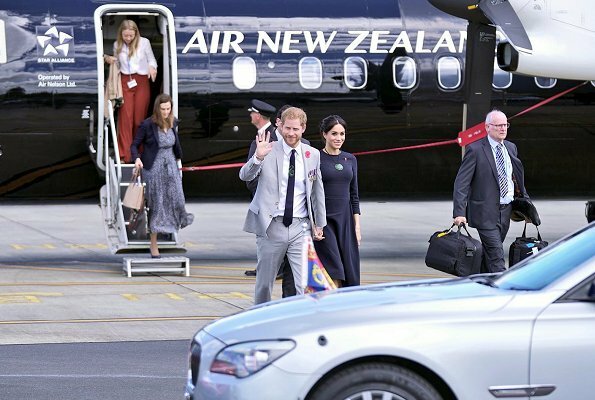 On October 28, Sunday, The Duke and Duchess arrived at the Wellington International Airport Military Terminal in Wellington, New Zealand. 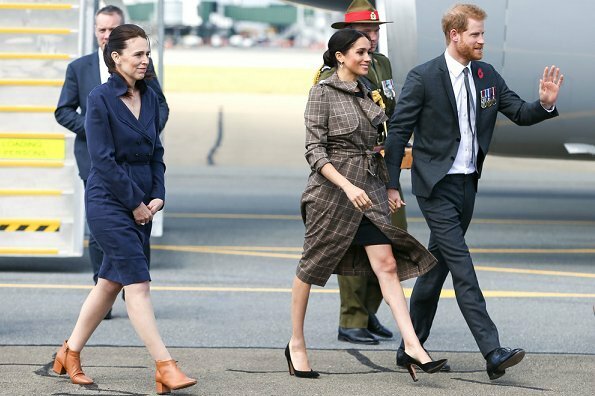 The Duke and Duchess were welcomed by the Prime Minister Jacinda Kate Laurell Ardern. 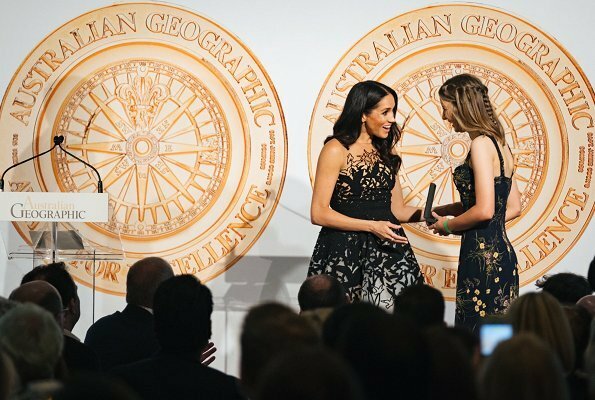 The Duke and Duchess of Sussex farewelled Australia today. 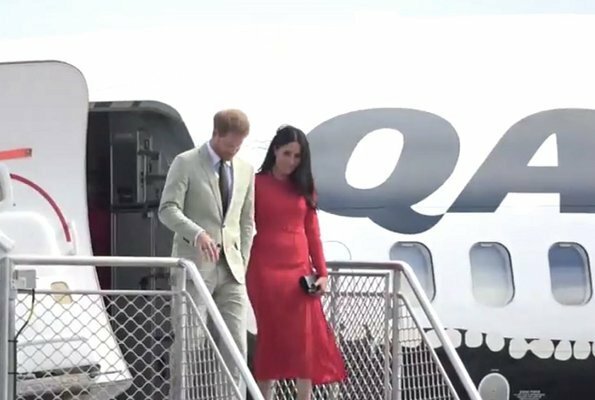 The Duke and Duchess departed Sydney Airport to go to New Zealand. 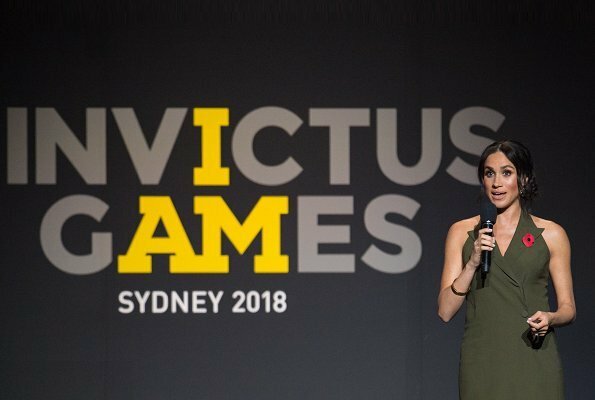 The Duke and Duchess of Sussex travel on the same airplane as a number of the New Zealand Invictus Games competitors, and on arrival, will be met off the plane together by the New Zealand prime minister Prime Minister Jacinda Kate Laurell Ardern. (The Duchess’s wore a dark pink midi dress by Hugo Boss. It is called the Eodora dress). 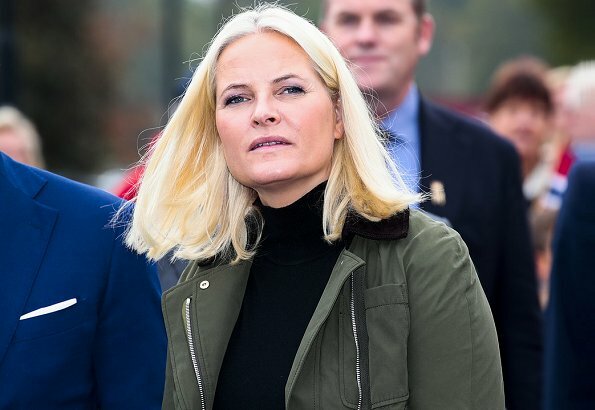 On October 24, The Royal Court of Norway announced that Crown Princess Mette-Marit has been diagnosed with a chronic lung disease which may prevent Crown Princess Mette-Marit from taking part in the official programs. 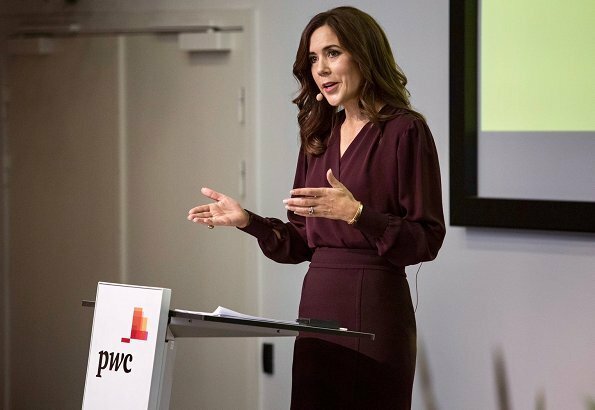 On October 25, 2018, Crown Princess Mary of Denmark attended the Fund conference of PwC, held in Hellerup, together with The Mary Foundation (Mary Fonden). PriceWaterhouseCoopers or shortly PwC is a London based multinational company that provides professional business advisory services. 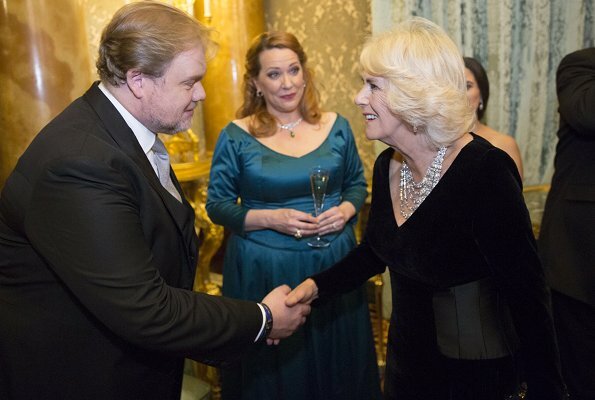 Last night, The Prince of Wales and The Duchess of Cornwall attended a Gala at Buckingham Palace in celebration of The Prince’s 70th Birthday and His Royal Highness’s longstanding support of the arts. On 14th November The Prince of Wales will celebrate his 70th birthday. The Prince of Wales is Patron of more than 70 arts organisations including The Royal Opera, The Royal Shakespeare Company and The Royal Ballet, who all featured in the evening’s programme. 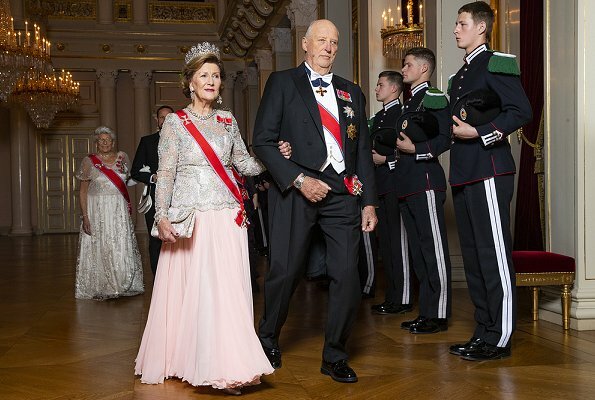 In the evening of October 25, 2018, King Harald of Norway and Queen Sonja of Norway hosted a gala dinner for the Members of Parliament. Royal family members of Norway welcomed members of the parliament of Norway for the traditional gala held at Oslo Royal Palace. 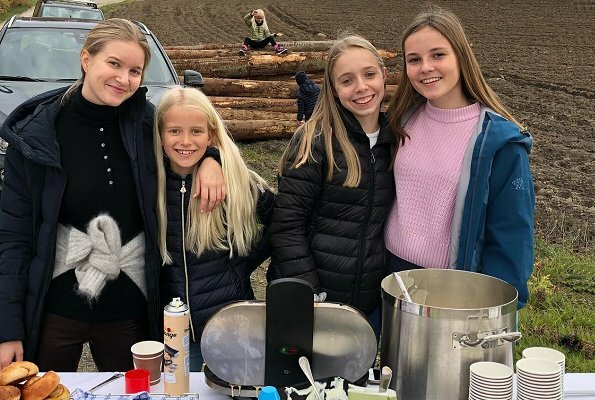 The King, The Queen, Crown Prince Haakon, Crown Princess Mette-Marit and Princess Astrid, Mrs. Ferner attended the gala dinner. 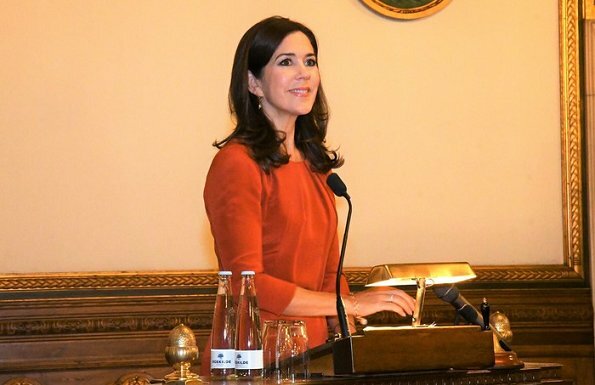 On October 25, 2018, Danish Crown Princess Mary attended 2018 Magasin du Nord Fashion prize-giving ceremony held at Charlottenborg Exhibition Hall in Copenhagen. The Crown Princess presented 2018 Magasin du Nord Fashion prizes to the winner designers. The Magasin du Nord Fashion Prize is Denmark’s biggest award for new fashion talents and it is open to Danish citizens who have designed and produced at least one ready-to-wear collections, women’s or menswear. The three finalists receive a 5.000 DKK grant and a membership at Dansk Fashion & Textile for one year. 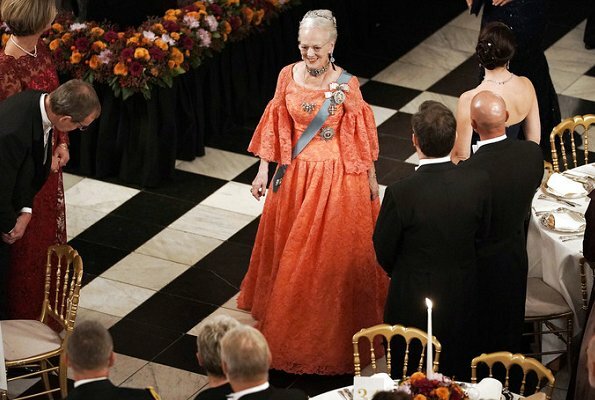 In the evening of October 24, 2018, Queen Margrethe of Denmark hosted a gala dinner for the members of the Government, members of the Parliament and members of the European Parliament. Crown Princess Mary, Prince Joachim, Princess Marie and Princess Benedikte attended the traditional gala at Christiansborg Castle. The dinner is a tradition held every 4 years and all invitations also cover spouses and partners. 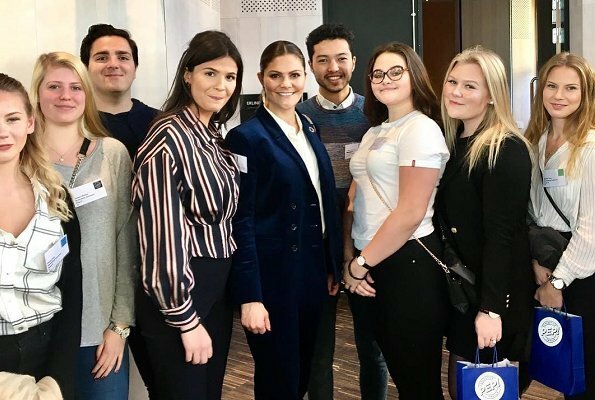 Crown Princess Victoria and Prince Daniel attended Pep Forum 2018 held at Aula Medica Conference Center of Karolinska Institute in Solna. 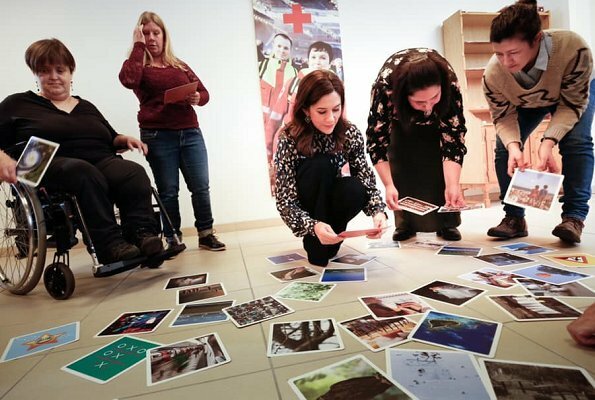 This year's Pep Forum discusses causes that affect health of children and young people in a negative way, and how to overcome those difficulties. 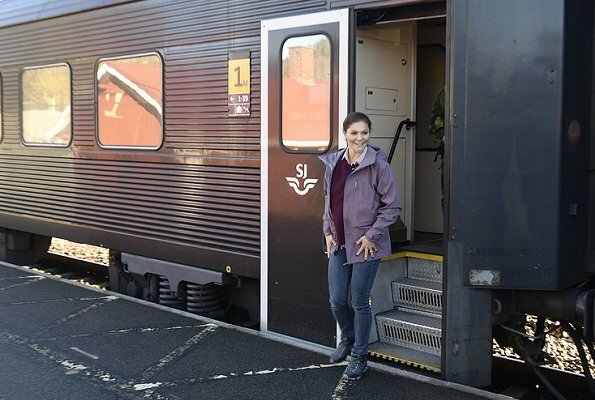 Gen-Pep is a non-profit organisation established by the Swedish Crown Princess Couple. Its vision is that all children and young people in Sweden should have the ability and desire to live an active and healthy life. On the third and last day of their visit to Portugal, on October 24, 2018, Queen Mathilde of Belgium and King Philippe of Belgium arrived in Porto. 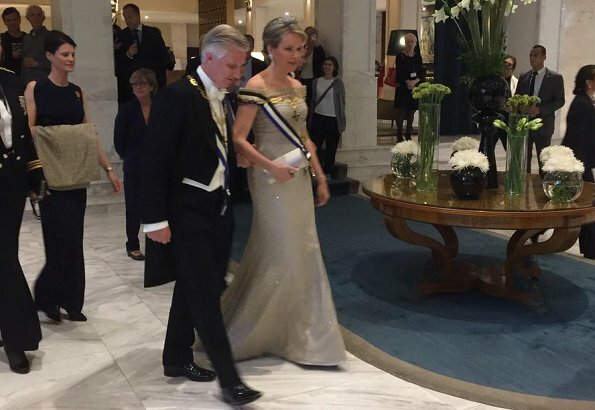 Queen Mathilde and King Philippe visited the City Hall in Porto. 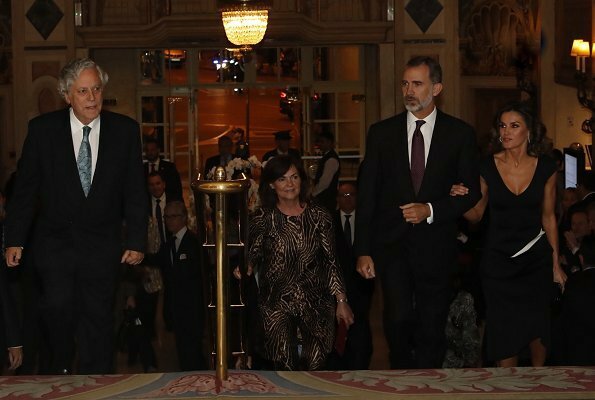 Belgian royal couple attended a Lunch with businessmen in the Palácio da Bolsa. Royal Couple then visited the Museum Serralves and its exceptional collection of contemporary artworks. Afterwards, King Philippe and Queen Mathilde visited the Douro River in downtown Porto. Crown Princess Mary visited Utterslev School in Copenhagen to launch Danish Refugee Council's 2018 Children's U-Country Calendar (Børnenes U-landskalender). Børnenes U-landskalender is produced every year by a cooperation between Danida, DR and variable humanitarian aid organizations, and aims to raise money for the purpose of helping children in poor countries. This year, profits from the sale of the calendar will go to Syrian refugee children in Jordan. Danida is the name of Denmark’s development cooperation. This is an area of activity under the Ministry of Foreign Affairs of Denmark. 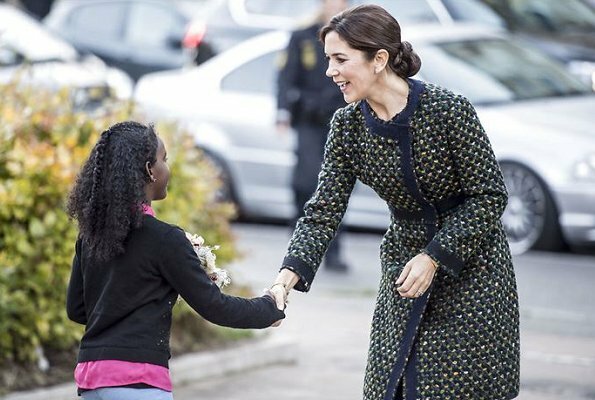 The Crown Princess is the patron of Danish Refugee Council. 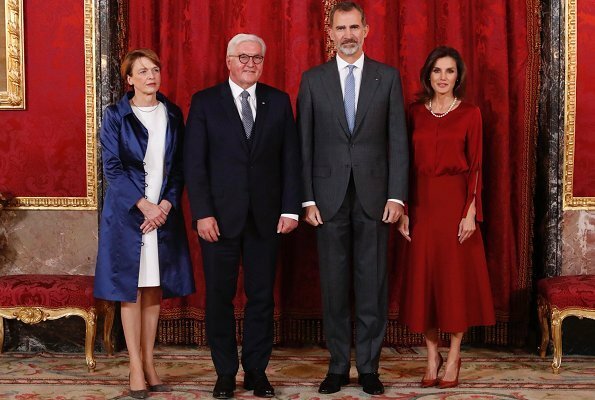 On October 24, 2018, King Felipe and Queen Letizia held an official lunch at Zarzuela Palace in honour of German President Frank-Walter Steinmeier and Mrs. Elke Büdenbender. President Steinmeier is making an official visit to Spain on October 24-25 to carry out various political, economical and cultural activities. President Steinmeier will also visit Extremadura Autonomous community. (Queen Letizia wore a new silk blouse by Hugo Boss and a new wool and cashmere midi skirt by the same brand). 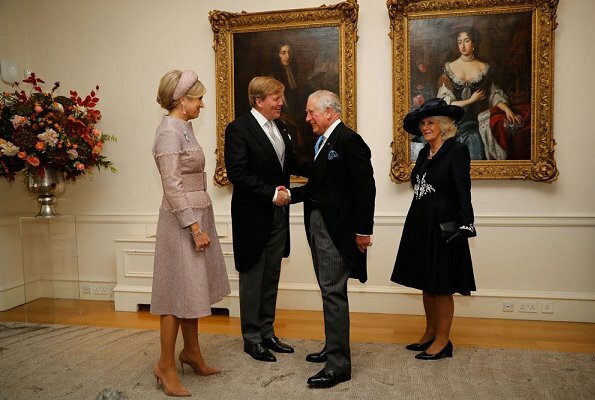 On the second day of their state visit to the United Kingdom, King Willem-Alexander and Queen Maxima focused on the economic cooperation between the two countries and their leading positions in terms of innovation. 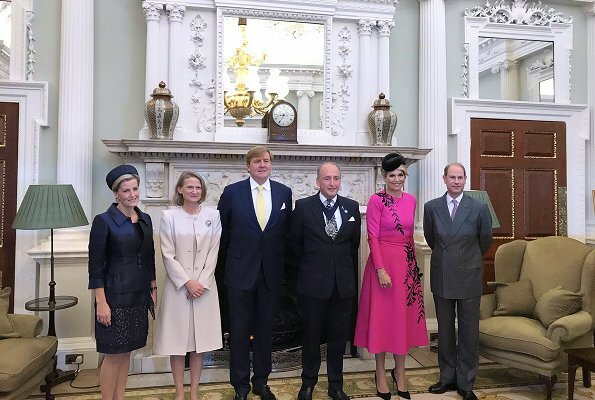 King Willem-Alexander, Queen Maxima, Prince Edward and the Countess of Wessex attended the UK-Netherlands Innovation Showcase at Mansion House. The focus of the next programme event was the close cooperation between the Netherlands and the United Kingdom on peace and security. To mark the 45th anniversary of the United Kingdom/Netherlands Amphibious Force, the two marine corps held a joint demonstration on the Thames. the King and Queen, together with the Duke of Kent and the Earl and Countess of Wessex, watched an on-the-water capability demonstration on HMS Belfast between the Royal Netherlands Marine Corps and the Royal Marines. 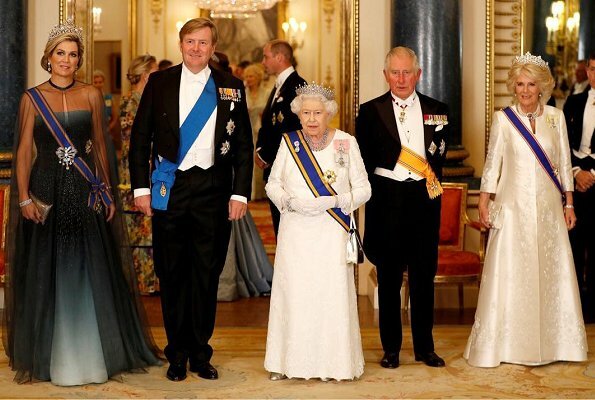 In the evening of October 23, 2018, Queen Elizabeth II hosted a state banquet at Buckingham Palace, held in honour of King Willem-Alexander and Queen Maxima of The Netherlands. Among the attendees of the state banquet, there were Prince Charles, the Duchess of Cornwall, Prince William, The Duchess of Cambridge, Princess Mabel and Princess Michael of Kent. King Willem-Alexander accompanied by Queen Maxima are staying at Buckingham Palace during their two day visit to the UK. The last State Visit from the Netherlands was by Queen Beatrix and Prince Claus in 1982. Yesterday, Crown Princess Mary of Denmark visited Copenhagen DR Koncerthuset and there, she watched DR Pigekoret's (Danish National Girls Choir) rehearsals. Crown Princess Mary met with all the girls in the choir and Chief Director Philip Faber and Artistic Director Anne Karine Prip. 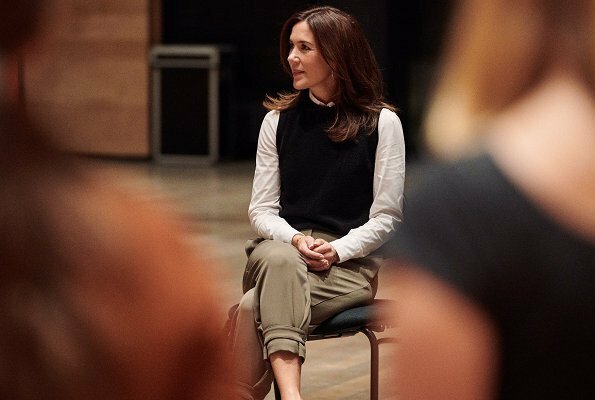 Crown Princess Mary became the patron of DR Pigekoret and she visited choir rehearsals for the first time. The girls choir consists of 50 girls between the ages of 16 and 21. The choir gives more than 60 concerts every year and most of these concerts take place in Denmark. 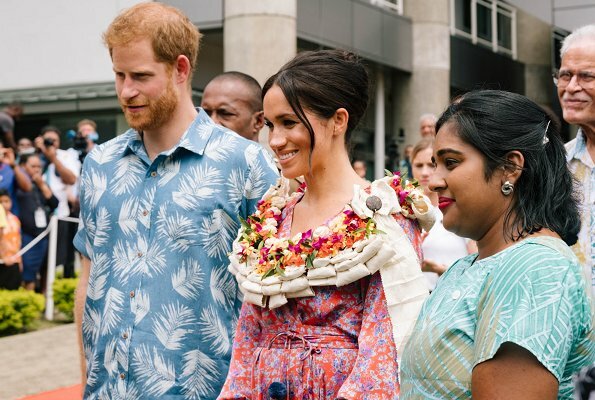 The Duke and Duchess of Sussex arrived in Suva, the capital of Fiji. 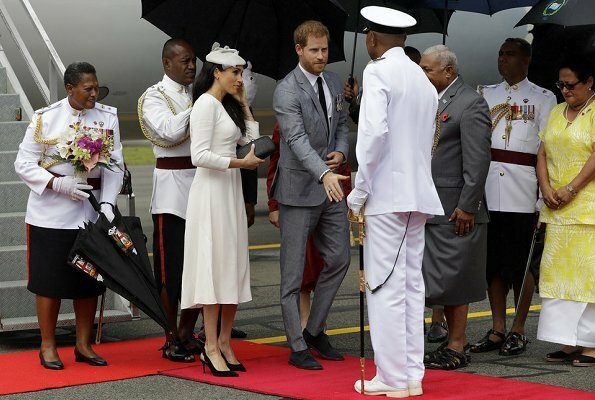 The Duke and Duchess were welcomed by a Guard of Honour at the airport and then they visited The President of Fiji at Borron House. 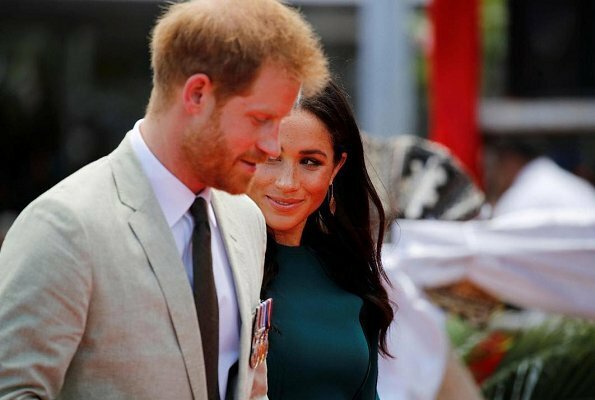 Afterwards, The Duke and Duchess attended an official welcome ceremony at Albert Park in the city center. The ceremony, is known as the Veirqaraqaravi Vakavanua. Members of the public from across Suva attended the ceremony. 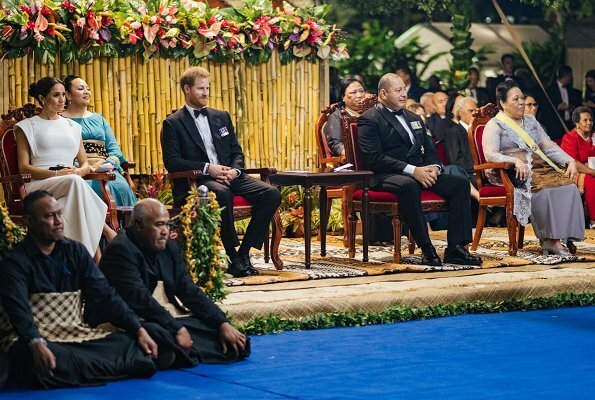 Afterwards, The Duke and Duchess attended a Reception and a State Dinner hosted by The President of Fiji at Grand Pacific Hotel in Suva. In the evening of October 22, 2018, King Philippe and Queen Mathilde of Belgium attended the state banquet hosted by Portuguese President Marcelo Rebelo de Sousa at Palace of Ajuda in Lisbon. 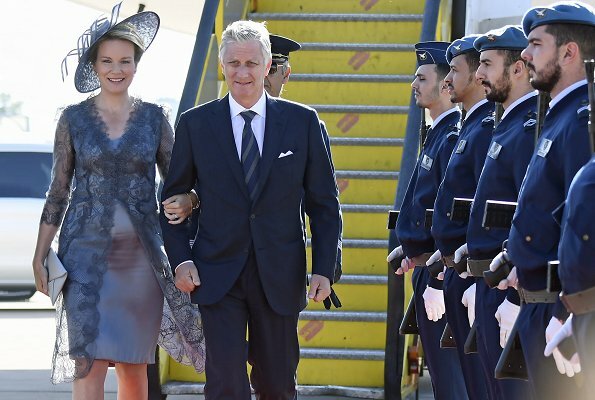 King Philippe and Queen Mathilde are making a state visit to Portugal on October 22-24 as the guests of Portuguese President Marcelo Rebelo de Sousa. The visit program includes various activities in Lisbon and Porto. 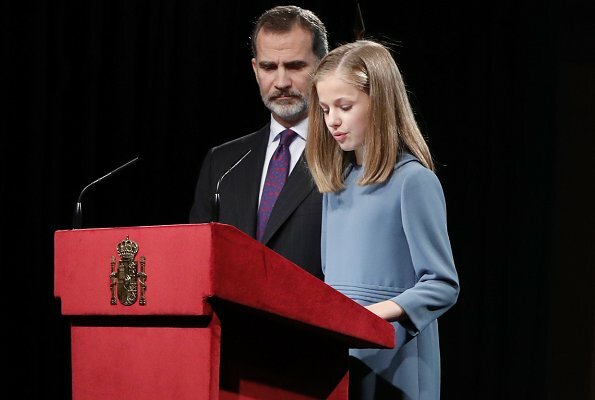 On October 22, 2018, King Felipe VI of Spain and Queen Letizia of Spain attended the 'Francisco Cerecedo' Journalism Award Ceremony held at Hotel Palace in Madrid. This year, reporter and journalist Rubén Amón became the winner of "Francisco Cerecedo" Journalism Award. "Francisco Cerecedo" Journalism Award is given every year with the sponsorship of BBVA (Banco Bilbao Vizcaya Argentaria) by a jury created by Association of European Journalists. The award is a medal and 24.000 Euro.